I am an ASTRO 3D. 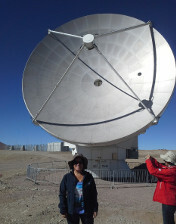 Senior Research Fellow and Senior Lecturer the International Centre for Radio Astronomy Research, in the University of Western Australia. 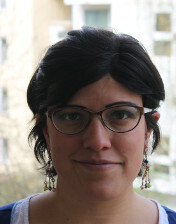 In the past I have been a Discovery Early Career Research Fellow at ICRAR and a Fellow at the German Headquarters of the European Southern Observatory. I was awarded my PhD from the Institute for computational cosmology in Durham University, in November 2012. My broad area of research is galaxy formation and evolution. In 2014 I was recognised with a MERAC prize for the best European PhD Thesis in Theoretical Astrophysics in the years 2012 and 2013. 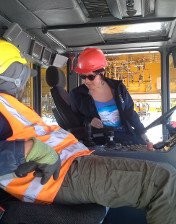 Later in 2014, I was recognised in Chile as one of the `100 Women Leaders' and one of the `100 Young Leaders' of the country for my contributions to Astrophysics (see News). In 2016 I was recognised as the distinguished fellow of the year by the Institute of Advanced Studies at UWA. Active galactic Nuclei: I am interested in its effects on the galaxy population through mechanical and energy feedback and the relation between host galaxy and black hole properties. 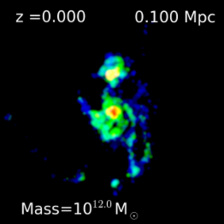 Star formation and supernovae feedback: modelling star formation and supernovae feedback in a multi-phase interstellar medium is challeging, but necessary if we want to go a step further in our understanding of galaxy formation. I develope more realistic models of the interstellar medium and dynamical models of supernovae feedback to better understand how these processes affect galaxy evolution. Gas content of galaxies: within the context of multi-phase interstellar medium. Tremendous amount of data is being and will be released describing the gas content of galaxies in its different phases: molecular, atomic, ionised. I develope models to give a theoretical framework to understand the relation between these different gas phases and galaxies. Mock catalogues: I also collaborate in the application of semi-analytic models to study the capacity of instruments such as ASKAP, ALMA, WAVES, etc. 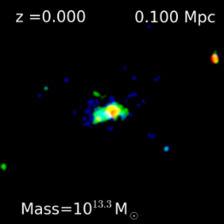 I am also interested in large volume galaxy surveys and the statistical results that can be taken from them. In particular, I have performed statistical studies of the relation between host galaxy and AGN using the Sloan Digital Sky Survey. I am part of several large galaxy surveys, including the deep galaxy surveys DEVILS and WAVES, and the IFU survey HECTOR. 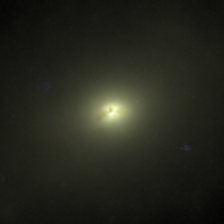 Optical (ugr) image of a galaxy in the EAGLE simulations (Schaye et al. 2015). Same as before, but here I show the molecular hydrogen column density (Lagos et al. 2015). 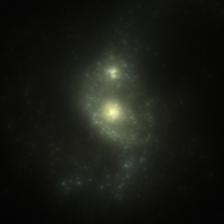 Optical (ugr) image of a galaxy merger in the EAGLE simulations (Schaye et al. 2015).